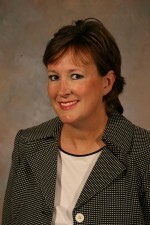 Baylor>Robbins College of Health and Human Sciences>Faculty & Staff>Faculty Directory>Jaynie Lewis Fader, M.S. Prior to working at Baylor University Ms. Fader spent 19 years working in technology, design, and product development management positions in the apparel industry. At Baylor she teaches both design and merchandising students and is responsible for the apparel hardware and software technology.